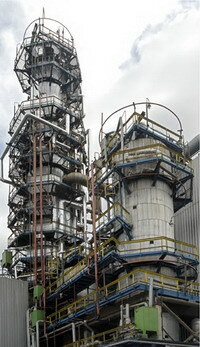 An oil refining unit CDU/VDU-7 with a revamped vacuum section is designed to process a blend of crudes and target cuts that present feedstock for the units of a basic complex of TAIF-NK PSC and Ethylene production facility at Nizhnekamskneftekhim PSC. The unit was put into operation in 1979. 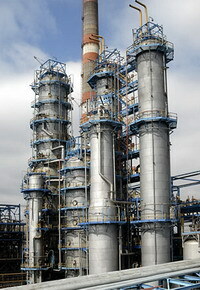 Its annual capacity in terms of crude processing is 7.344 mln. The vacuum section was revamped and commissioned in May 2003. 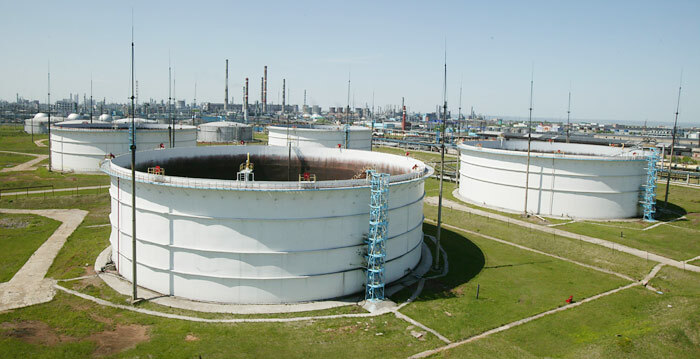 In the course of 30 years of operation, the CDU/VDU-7 unit has processed some 185 million tons of crude. The unit is designed to process vacuum residue from the vacuum section of CDU/VDU-7 by means of thermal cracking with production of a fuel oil component. The unit was constructed based on the licence issued by Shell. The vacuum residue processing capacity is 1.8 mln tpa. It was launched together with the vacuum section in May 2003. The unit was based on the design of an Austrian firm Pörner (Bituroks® technology) and is designed to produce 138 thousand tpa of oxydized road and industrial bitumens. The unit was put into operation at the beginning of 2007. Final products are shipped via a loading rack as well as by road and railway. developed by the Howe-Baker company by the order of the ABB Lummus Global company. The unit was commissioned in 2002. As a result of revamping conducted in 2013 Unit capacity increased till 19.2 thousand tpa in terms of hydrogen. The middle Distillates Hydrotreatment Unit is based on a desulphurization process with the use of catalysts produced by Criterion. 610 thousand tpa of Hydrotreated Kerosene Cut. 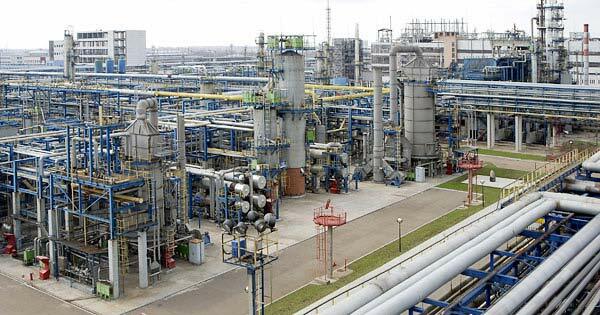 In the period 2011-2013 the Unit was revamped which allowed to produce diesel fuel of ecological class EURO-5 and to increase capacity in terms of sour gas oil to 2,300 thousand tpa. 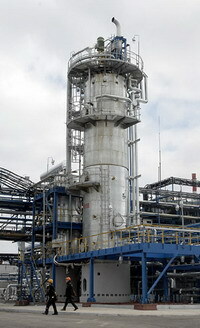 The unit is designed to produce elementary sulphur out of sour gas hydrogen sulfide with application of the Claus-process under licence of the Parsons company. As a result of revamping performed in 2014 the Unit capacity increased from 35.14 to 55.113 thousand tpa in terms of granulated sulphur. It was put into operation in January 2003. Besides those mentioned above, a number of auxiliary facilities are operating including an amine treatment section and an amine regeneration unit, a sour water stripper etc. railway and motor vehicle shipment of products: jet fuel, heating kerosene, summer and winter diesel fuel, vacuum gas oil, granulated sulphur, heavy catalytic gas oil, furnace oil, and Fuel Oil. Preliminary treatment block is designed to protect main facilities against garbage, volley of sewage and emergency discharge of contaminations, to control unsteadiness of supply of untreated waste water to main treatment facilities. Physical and chemical treatment block is designed to treat preliminary clarified waste waterfrom Preliminary Treatment Block from particulates and oil products. Biological treatment block is designed for biological oxidization of organic compounds, oxidization of ammonium nitrogen to nitrites and nitrates with further reduction to nitrogen molecule, chemical deposition of phosphorus compounds, ultrafiltrational separation of activated sludge and treated waste water. Demineralization Block is designed to treat waste water transferred from Biological Treatment block from dissolved substances (ions and salts), as well this block is required to provide possibility of waste water recycle. In accordance with regulatory documentation and process diagram total salt content in industrial water introduced to plant shall be max 500 mg/l. Dehumidification block of oil productsand sediments is designed for dehumidification of watered oil products, sediments and excessive sludge formed during water treating process. This will allow to reduce volume of sediments by 10 times, as well to reduce content of oil products in it which can significantly simplify its disposal process (biodegradation). The quality of dehumidified oil product allow directly transfer it to oil refining process without additional processing stage. Workshop No.16 – Central Plant Laboratory etc. Diesel cut with from Gas Condensate Treatment Unit in the amount of 135 ,987 t.
Production/capacity ratio of the Crude Oil Distillation Unit in 2017 amounted to 100.51% in terms of crude feedstock, oil conversion ratio was 72.7%. Commodity output produced at Oil Refinery in 2017 amounted to 7, 271 thousand tons.